Nowadays, it is possible to imagine a website with blog, a powerful which helps inform your customers whatever about you want - news, discounts, sales, new products, events, etc for Magento 2. The Blog Pro extension gives you a noteworthy opportunity to communicate with your regular customers and casual visitors. With Blog Pro extension you can create an interactive two-way communication platform to provide official information on your store news, upcoming products or services, promotions, and get feedback of customers. 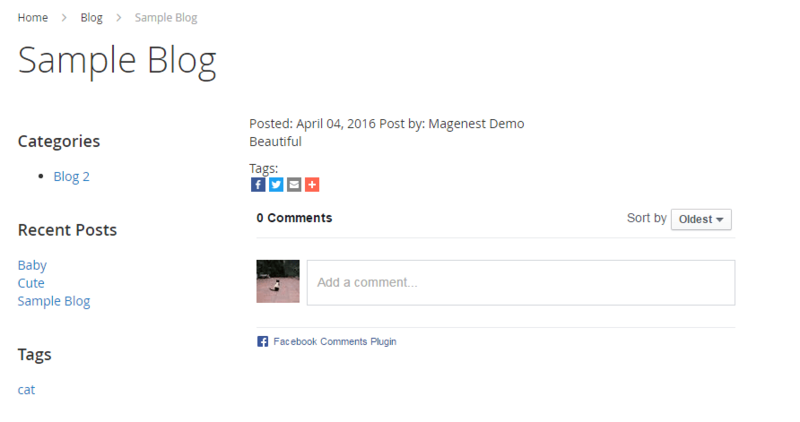 Moreover, our Blog Pro extension is social-networks-friendly. So you do not need any additional tools to allow your customers to share your posts in Google+, Facebook, LinkedIn, or wherever else. Run Blog Pro inside your store and take big step for your content marketing activities. 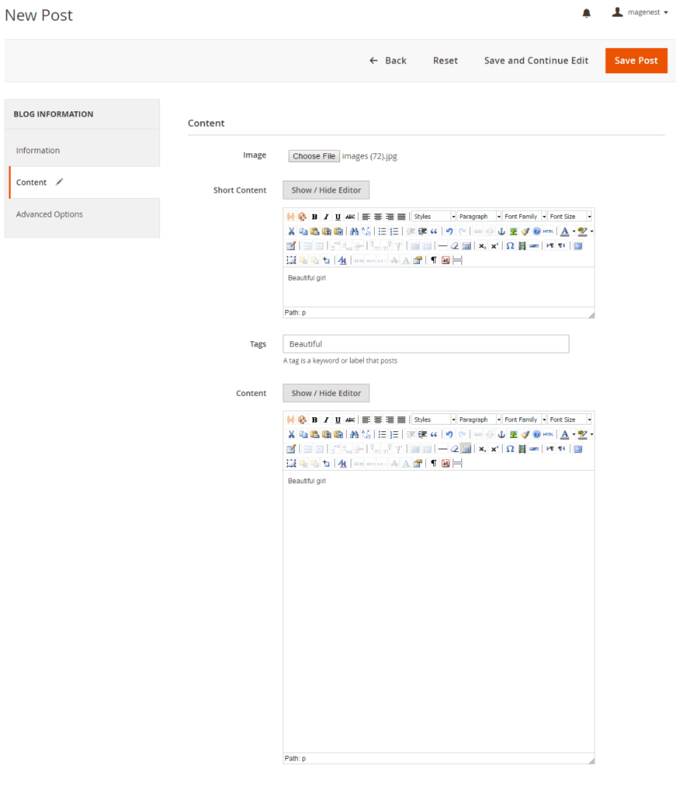 Users can read blog posts. Share buttons support: facebook, google, twitter. 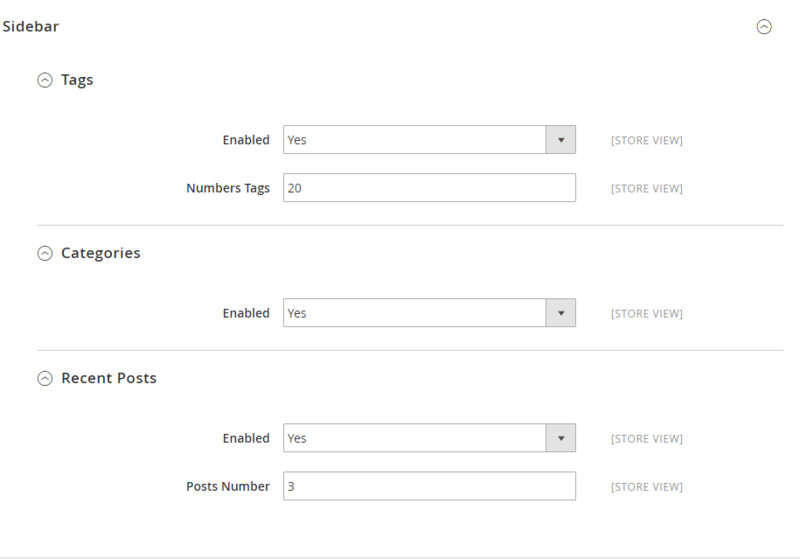 Admins may set up how the post will be presented to customers, what users can do as: post view, post lists, and sidebar. In the Add New Post section, admin may create a new post filling information in three tabs: Information, Content, and Advanced Options. 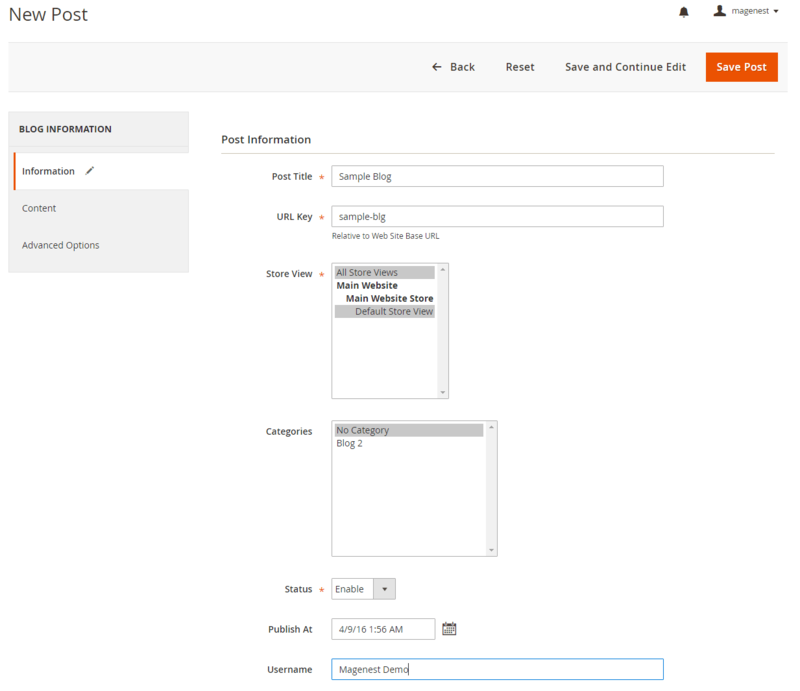 In addition, admin may create a new category to manage posts and to make customers ease to find information. * Users can read blog posts. 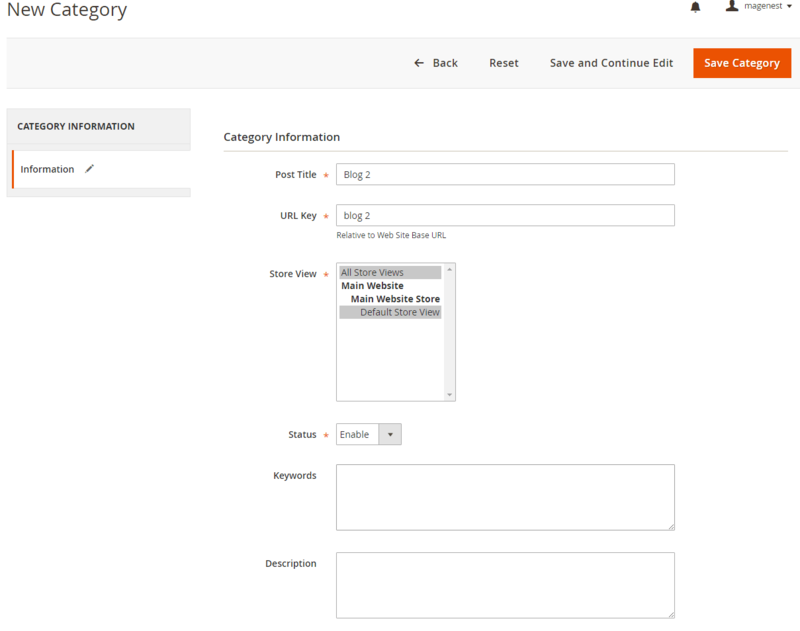 * Users can navigate using categories. facebook, google, twitter. * Admin can managing categories, posts, authors.